Earlier this month, my husband, son and I were lucky enough to spend a weekend at Disney’s Hilton Head Island Resort in South Carolina. Upon our arrival, we were happy to find a very special “cast member” waiting to greet us on the resort’s front porch. 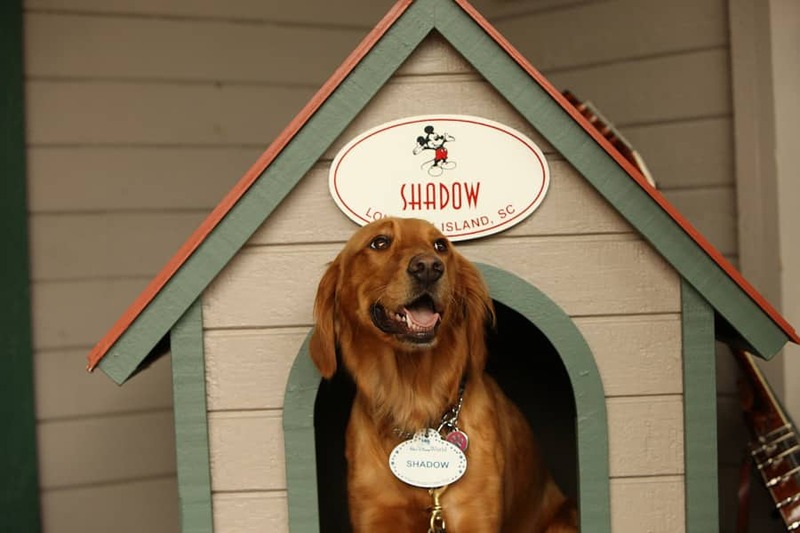 A frequent sight around the grounds of Disney’s Hilton Head Island Resort, Shadow first appeared at the resort during construction in 1996. By opening day, she was part of the resort’s family. The Resort’s local folklore expert, B’Lou Crabbe, often appears with Shadow and shares her tale with guests. According to him, the pup got her name as a result of her curious and happy spirit. Today, Shadow periodically can be found welcoming guests with B’Lou on the Resort’s front porch. Guests also can join her on a walk around the Resort during Shadow’s Funny Bunny Hunt, or hear about her adventures at Shadow’s Tale story time. Photos and belly rubs welcome. I find it wonderfully ironic that this story was posted the same day that we had to put my own golden retriever, Eclipse, to sleep. She was a wonderful 11 year old golden with a wonderful spirit and loving personality. It makes me happy that there are other goldens out there like Eclipse to carry on their magical memory creating tradition. Thank you. I find it pretty cool that this was posted today. I had a Golden Retriever that died exactly one year ago from today. What a great choice to welcome Disney guests. What an awesome story. 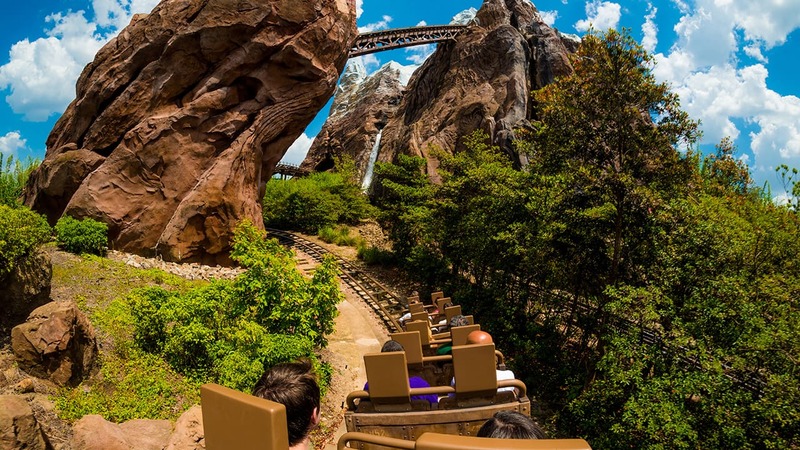 It is just a perfect representation of the spirit of Disney World. Wasn’t Shadow the name of the golden retriever in the disney movie “Homeward Bound” ? We LOVE Shadow and B’Lou!! So nice to see them getting some well deserved recognition!! They are the highlight of our trip when we “come home” to the Disney Hilton Head resort. In fact, we are “home” right now and were lucky enough to see B’Lou and Shadow several times this week. We love to hear B’Lou tell the story of how Shadow became the mascot of the resort and we also enjoy his magic shows, folklore stories and mind reading shows too. They are such a wonderful part of the experience at the Disney HH resort! !